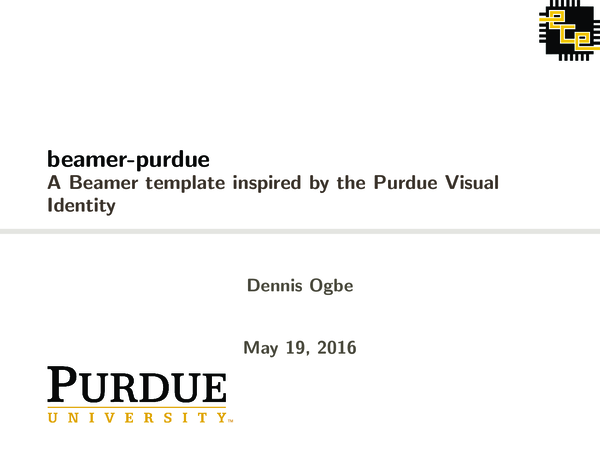 I've gotten a few requests to share my custom Purdue-themed beamer templates recently and I finally came around to clean them up, put them in individual .sty-files, and upload them to GitHub. 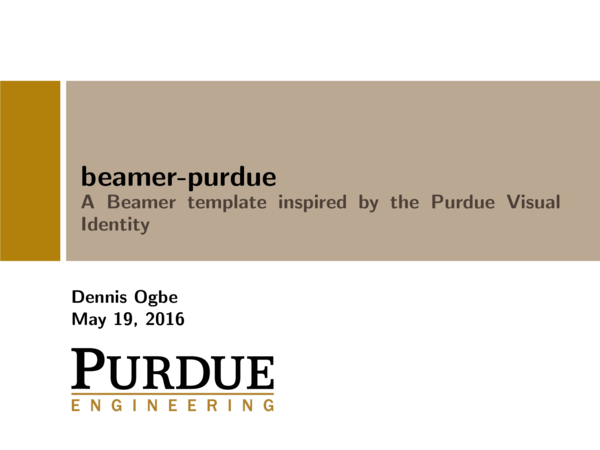 You can find an example pdf presentation here. Obviously, this theme is geared towards folks in the ECE department. The template, the example presentation, and all figures are published under the CC-BY 4.0 license. 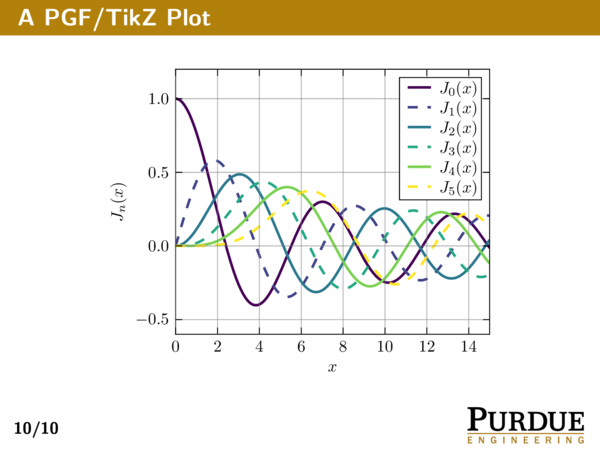 The example code used to generate the plots is MIT/Expat Licensed. Contact me with feedback, questions, etc. I'd like to know whether people are actually using this.